Iceland—the UK supermarket chain, not the country—has been a winner in our awards competition, having taken home the Platinum SABRE (for Best in Show ) at the Global SABRE dinner in Washington, DC, last year. It's ' #toocoolforplastics campaign was precisely the kind of category leading, substantive commitment to environmental performance that award judges love, and dramatically shifted perceptions of a retailer previously best known for low prices and cheesy ads . 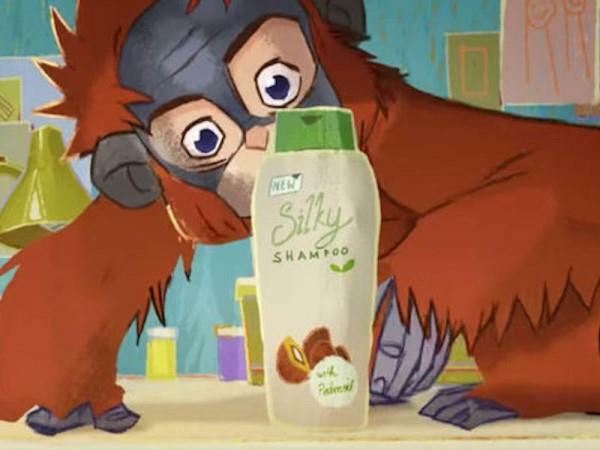 In the year since we first recognized #toocoolforplastics, Iceland has continued to demonstrate its leadership on sustainability issues, most notably with a Christmas ad campaign , which repurposed a message from Greenpeace—telling the story of an orangutan called Rang-tan and the destruction of its rainforest habitat by palm oil growers—to help Iceland explain that it was banning palm oil from its products. The campaign never made it onto the airwaves; it was banned by deadly serious British regulators for being too political—though the YouTube version of the ad was viewed nearly 70 million times. Last month, Iceland managing director was announced as a finalist for the inaugural Retail Activist Award—sponsored by Salesforce—for his work in tackling plastic pollution, and last week he spoke at the Economist's Sustainability Summit , where he said that the controversial ad did nothing to boost sales, added that the palm oil decision had been costly for the company, and admitted that 'If I were the boss of Tesco, I'd be sacked because I'm loading up millions of pounds of cost into our business. Iceland is independently-owned, having been founded by Malcolm Walker—the current MD's father—and therefore is not subject to the short-term pressures of the stock market. 'I've been given the licence to do this [remove palm oil] because we don't have to chase short-term quarterly profits.Instead we can take the long-term view for the good of the planet and the company, Marketing Week quoted Walker as saying. That long-term view includes a grown-up understanding of reputation and relationship-building. 'The reason we did it was because we genuinely feel it's the right thing do, and we have quite a long history of being a corporate activist. It also builds a platform in terms of corporate reputation and brand building. In the long-term it makes good business sense. Too bad that long-term perspective is a luxury few publicly-traded businesses can afford. Volkswagen was back in the news this week, four years after it topped our list of the biggest corporate crises of 2015. The automaker has not been able to put the emissions scandal that caused its reputation to plummet and forced the departure of several senior brand and corporate communications executives behind it—a reminder that the after effects of scandal can linger long after the news media have turned their attention elsewhere. VW is facing a Securities & Exchange Commission lawsuit claiming that the Germany company 'allowed investors to buy $13 billion worth of company bonds despite being aware of the growing scandal involving illegal software used to manipulate emissions' testing results. In September of 2015, Volkswagen was found to have installed a software "defeat device" that helped cars pass emission tests despite failing to meet fuel efficiency standards. The resulting recall affected 8.5 million vehicles in Europe and 500,000 in the US, and the company quickly announced that it would set aside €6.5 billion to deal with fines and lawsuits. Car sales declined by 5 percent in the month after the scandal broke, but by the end of 2017 there were signs of a rebound and the company must have thought that the worst of the crisis was over. But the new suit says VWand its former chief executive Martin Winterkorn 'reaped hundreds of millions of dollars in benefit by issuing the securities at more attractive rates for the company, and 'repeatedly lied to and misled United States investors, consumers, and regulators as part of an illegal scheme to sell its purportedly ‘clean diesel' cars and billions of dollars of corporate bonds and other securities in the United States. In particular, it undermines claims that senior management at the company was unaware of the scandal, contradicting the suggestion that lower level employees were responsible. The transgressions of 'deiselgate have already cost the company more than $30 billion in fines, penalties, restitution and settlement of lawsuits since September 2015, and an article featuring Wharton's John Paul MacDuffie and David Zaring argues that the company is 'exhausted by scandal and that the incident 'continues to haunt Volkwagen despite efforts to clean up its reputation in Germany and the US. Volkswagen has denied the SEC's charges, and in a statement to CNBC said the bonds 'were sold only to sophisticated investors who were not harmed and received all payments of interest and principal in full and on time. It claimed that 'the SEC is now piling on to try to extract more from the company. Sympathy will be in short supply.